The real estate market in most parts of Metro Vancouver has softened over the last year and homeowners will see those changes reflected in their property assessments next spring. Outside Metro Vancouver, it's a different picture. Home owners in the rest of the province can expect increases of five to 15 per cent for assessed values of single-family homes. And in parts of central and northern Vancouver Island, and Kitimat, home values are at least 20 per cent higher than last year. B.C. Assessment has released a preview of its figures for 2019, which will be sent to property owners in early January. "It's a real mix in property value changes, but the market can best be summed up as showing signs of stability across most areas of the province," said property assessor Tina Ireland. "Changes in property assessments really depend on where you live. 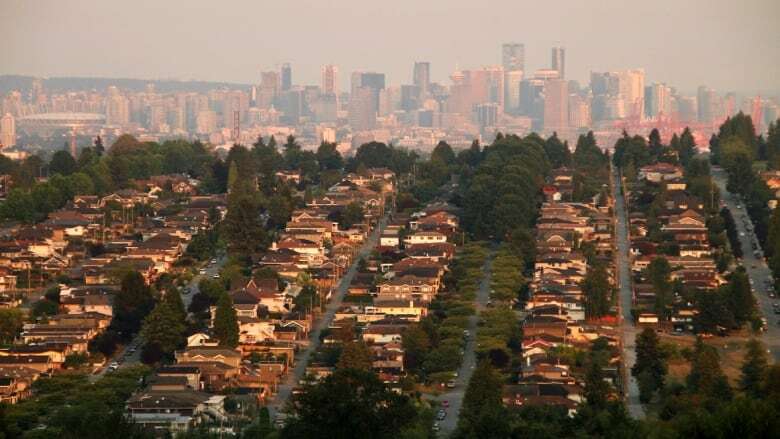 For example, assessed values for detached single family homes in many areas of Metro Vancouver may see a softening in value, while other markets and areas of the province will see modest increases over last year's values." Of note this year, B.C. Assessment says it observed a five to 10 per cent drop in prices of single-family detached homes in Vancouver, the North Shore, South Surrey, White Rock, South Delta and Richmond. Other Metro Vancouver municipalities showed stable values or modest increases, according to the independent assessment authority. In general, the rest of the province could expect increases of five to 15 per cent for assessed values of single-family homes. The exceptions were in parts of central and northern Vancouver Island, and Kitimat, which were valued at least 20 per cent higher this year. In many part of the province, apartments and condominiums saw values jump by 10 to 20 per cent. Exceptions were in Vancouver, the North Shore and Burnaby, which were slightly less. Commercial and industrial properties were projected to see general increases of 10 to 20 per cent, with some areas of Metro Vancouver seeing values rise by up to 30 per cent. The 2019 property assessments will be based on valuations from July 1, 2018.